Occasionally, we’ll teach a Solo Jazz Roots class. 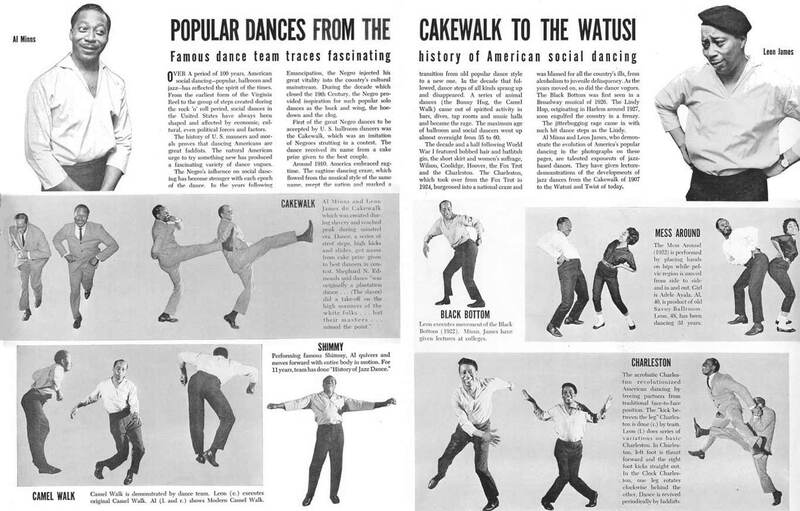 Sometimes we’ll work on a classic vintage routine, such as the Shim Sham, the Tranky Doo or the Big Apple Contest, and sometimes we’ll work on a modern routine, such as Sing Lim’s Charleston Stroll*, or the Jitterbug Stroll. Sometimes we’ll work on the key Jazz and Charleston movements and assemble them into little routines just for fun! Jazz Roots is very closely related to Rhythm Tap, so you may even get a little bit of that, too! 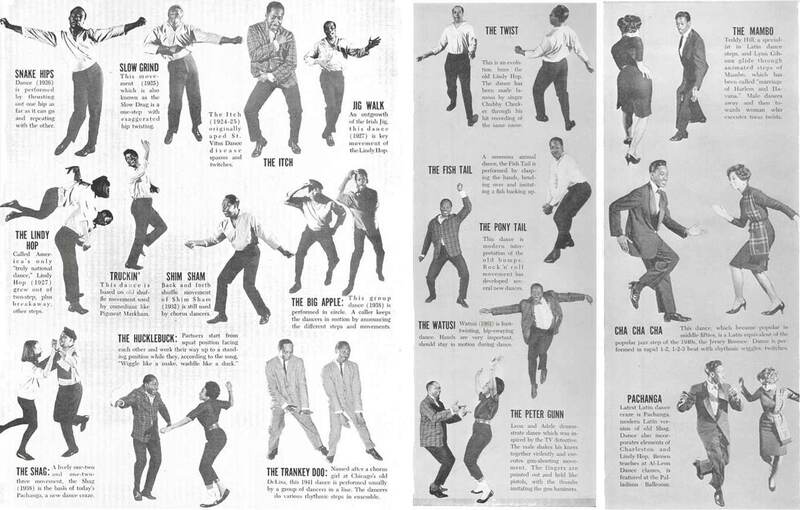 Al Minns and Leon James show Ebony Magazine readers how to dance Jazz Roots steps, August 1961.